Qualia Mind vs. Qualia Focus is a fight between brothers — the older, stacked brother against the younger, still-pretty-stacked guy. 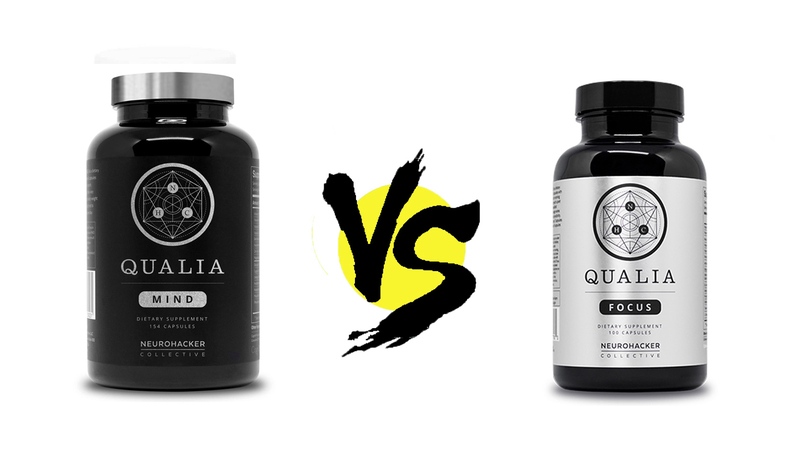 And both are significantly smaller than the original Qualia supplement stack, which divvies its huge formula into two separate stacks, which… I have to say: the Qualia Original Stack is impressive, but Neurohacker Collective was smart to simplify their formula into a smaller single stack. Having said that, was it necessary to simplify the Qualia design even further with Qualia Focus? And on that note, does Qualia Focus actually boost focus better than Qualia Mind? What additional emphasis (or focus) does Qualia Focus place on focus over Qualia Mind? Let’s read the Qualia Mind vs. Qualia Focus comparison review to find out. Qualia Mind or Qualia Focus: Which is better? Qualia Mind and Qualia Focus each supply a lot of ingredients, even though they’re both simplified versions of the Qualia Original Stack. But, for the most part, Qualia Mind and Qualia Focus share the same ingredients, as you can see by their Supplement Facts below. 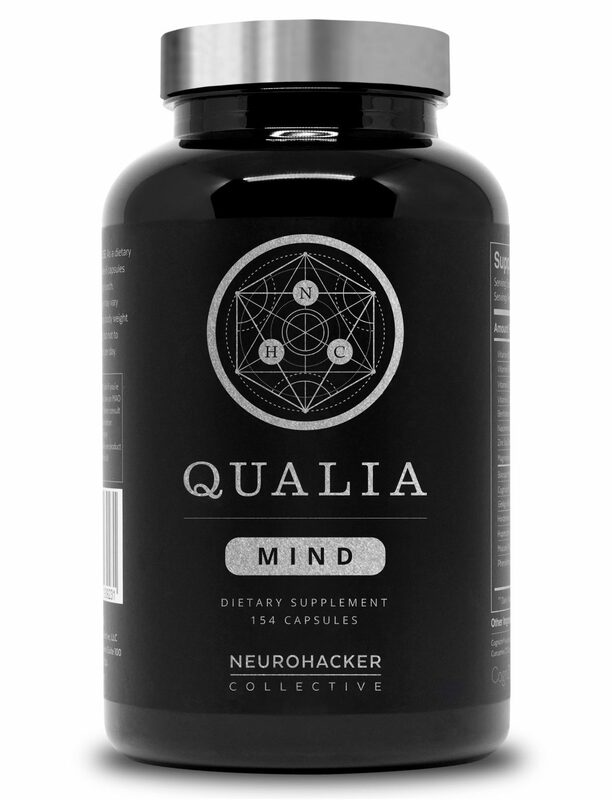 Neurohacker Collective was smart to simplify their Qualia Original Stack into a single bottle supplement: Qualia Mind. 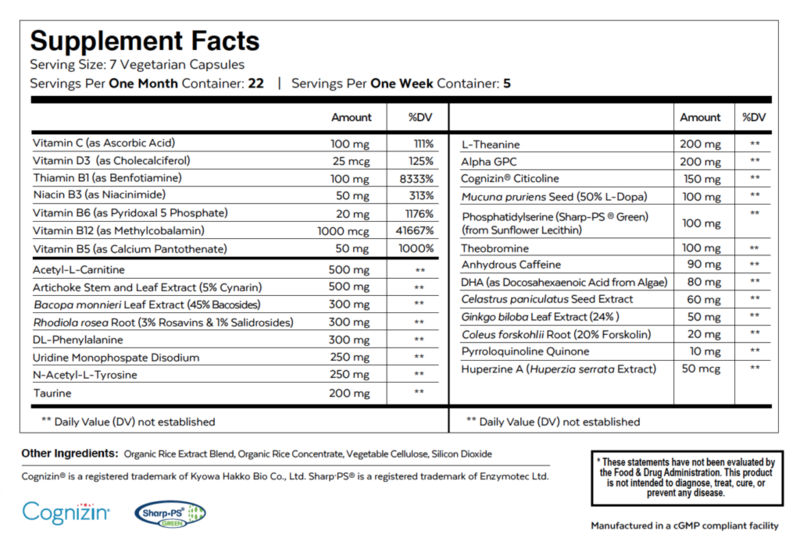 As the simpler version of Qualia Original Stack, Qualia Mind supplies many of the key nootropic ingredients found in its predecessor minus a couple unnecessary items that made Qualia Original Stack almost not worth it, including DHEA — a banned prohormone that doesn’t do a whole lot for cognition. Having said that, Qualia Mind still qualifies as a superstack supplement, counting up to nearly 30 ingredients, all of which are adequately dosed. It’s an impressive formula design that not many can pull off… nor can many afford this stack. Qualia Mind requires a hefty price tag to presumably afford the manufacturing costs that go into a supplement of this size. Yet, what you’re getting with Qualia Mind is a comprehensive, brain booster, brain health stack. Perhaps too comprehensive, as negative ingredient interactions become a concern with these big boys. But a complete package all the same. So, if Qualia Mind is the simplified version of Qualia Original Stack, does that make Qualia Focus the simpler simplified version of Qualia Original Stack? Sounds funny… but, yes, that’s essentially what Qualia Focus is. However, Qualia Mind simplified to the better. Qualia Focus seems to have done so at the cost of a few of Qualia Mind’s best nootropics — e.g., citicoline, phosphatidylserine, PQQ. If negative ingredient interactions are a concern with Qualia Mind, they’re a little bit less of a concern here. Although, to be fair, the nootropics in both are generally safe and natural. Yet, on that note, Qualia Focus doesn’t seem to add anything new to the Qualia formula for it to stand out over Qualia Mind — at least on the “Focus” front as advertised in the title. What does Qualia Focus do that’s particularly focus boosting that Qualia Mind doesn’t do? The answer: nothing. As I stated before, Qualia Focus is a simpler version of Qualia Mind. And so, Qualia Focus doesn’t exactly supply any unique features here that aren’t also found in Qualia Mind. So, here are the ingredients found in the Qualia Mind camp that aren’t found in Qualia Focus. Citicoline – Two parts choline and cytidine, citicoline possesses more cognitive enhancing potential than other choline donors with its cytidine attachment, that converts to uridine, a nucleotide associated with better synaptic plasticity and energy production. More on Citicoline. Phosphatidylserine – A key phospholipid required for brain cell membrane formation, PS plays an integral role in cell-to-cell communication and neuron repair. More on Phosphatidylserine. DHA – One of the fatty acids associated with fish oil, DHA works synergistically with citicoline and phosphatidylserine to improve brainpower and health. PQQ – An antioxidant energy booster that works by enhancing natural mitochondrial ATP energy output. More on PQQ. Okay, so, Qualia Mind has everything found in Qualia Focus and then some… So, what reason would anyone have to buy Qualia Focus over Qualia Mind? The answer is found below in the pricing section. (Qualia Focus is way more affordable than Qualia Mind.) However, smart nootropic users might find value in Qualia Focus’ simpler set-up, if they already have the nootropic ingredients listed above and wish to stack them separately with the cheaper Qualia product. Also, Qualia Focus seems to have better quality caffeine over Qualia Mind, so that might be something? Because Qualia Mind vs. Qualia Focus share the same ingredients, we already know we’re going to see a tie in this section. Having said that, a tie between these two supplements is a win for the customer, because Neurohacker Collective seems to deliver only high quality nootropic ingredients. But I want meat-flavored pills! And, of course, vegetarian capsules, which… well, actually they’re not the best quality caps, due to Qualia’s use of Silicon Dioxide. But that’s not a real biggie. It’s just an unnecessary additive that they could do without. 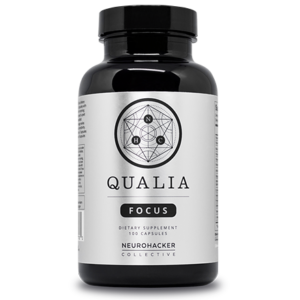 On the whole, Qualia Mind and Qualia Focus continue Neurohacker Collective’s impressive run of delivering high quality, highly potent nootropic ingredients at (and here’s the impressive part) generally high dosages across the board. Qualia Focus supplies only a few ingredients fewer than Qualia Mind, yet costs a little less than half Qualia Mind’s total price. Doesn’t make much sense, as you can easily buy the missing ingredients separately and stack them with Qualia Focus for a much cheaper, make-shift Qualia Mind stack. 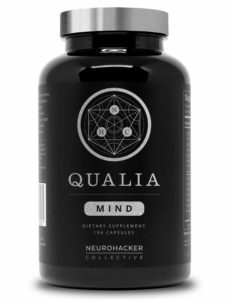 Neurohacker Collective does offer Subscribe & Save order options for both Qualia Mind and Qualia Focus, somewhat reducing their respective price per serving amounts. However, whichever option you buy, Qualia Focus remains the much, much cheaper Qualia stack here. Qualia Mind has a few more noots for double the price. Citicoline, phosphatidylserine, DHA, and PQQ — Qualia Mind has them. Qualia Focus does not. Granted, they are awesome ingredients; great for memory, focus, and energy. But are they worth double the price listed by Qualia Focus’ name. No, not at all. I can’t quite figure out what Neurohacker Collective is getting at here with this price discrepancy, but, even though Qualia Mind is the better formula, it’s not that much better than Qualia Focus. Qualia Focus removes a few noots for half the price. Neurohacker Collective seems to value their products highly judging by how expensive their products are. And with so many high quality ingredients in their formulas, it makes sense that you’ll need to pay a bit extra to access their brain health stacks. But even so, I can’t help but feel that the high price of these supplements is part of their marketing, lending to a sense of “high-class” super prem-O stuff. 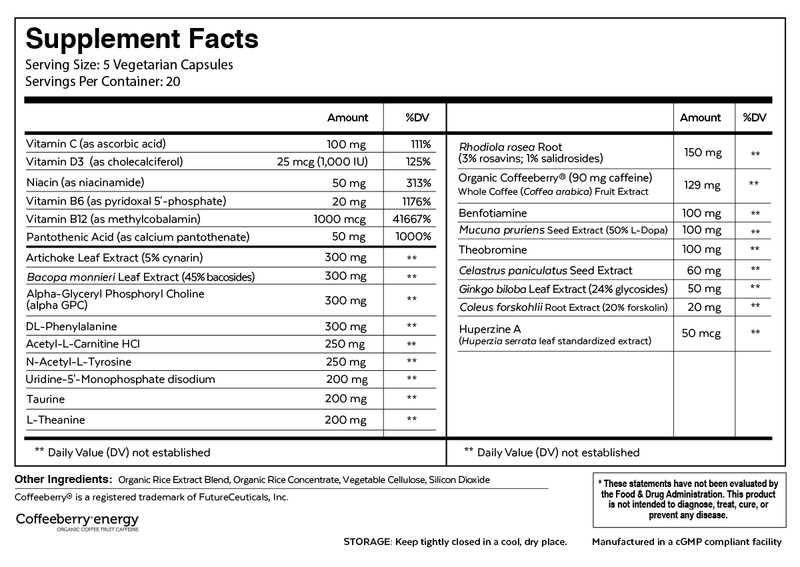 Qualia Focus’ price seems more on the mark of what these supplements should cost. Qualia Mind, on the other hand, is way overpriced. And that’s somewhat of a bummer, as Qualia Mind is the superior formula between these two.